At The Swing Era we LOVE Solo Jazz! We run different solo jazz workshops and courses throughout the year, and we strongly believe Solo Jazz does wonders for your partner dancing and technique. 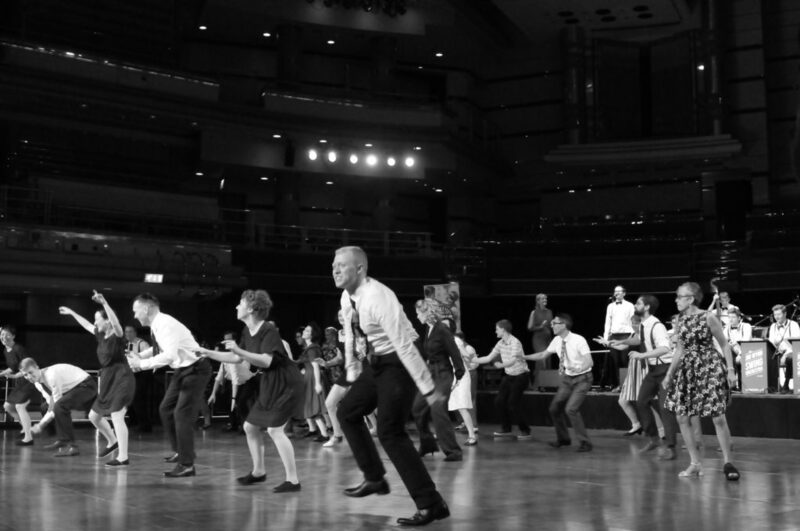 19 January 2019: Rhythm Tap for Lindy Hoppers workshop with Martyn Nelson. Details TBC. 1-3 February 2019: Solo Jazz tracks during Birmingham Swing Festival. Solo Jazz Crash Course: This course is suitable for complete beginners and those who have been dancing for less than a year. You’ll learn the fundamentals for beginners on the Saturday sessions and explore more complex moves on the Sunday. Each class will progress gradually and will provide enough material for people who are complete beginners or in their first year of dancing. Every August we run our popular Solo Jazz Summer Course for Level 1 and 2 solo jazz. These courses are taught by Suzanne Grubham.